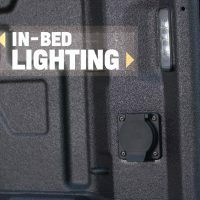 Chevy is showcasing a new metric in the ongoing truck wars: bed space. 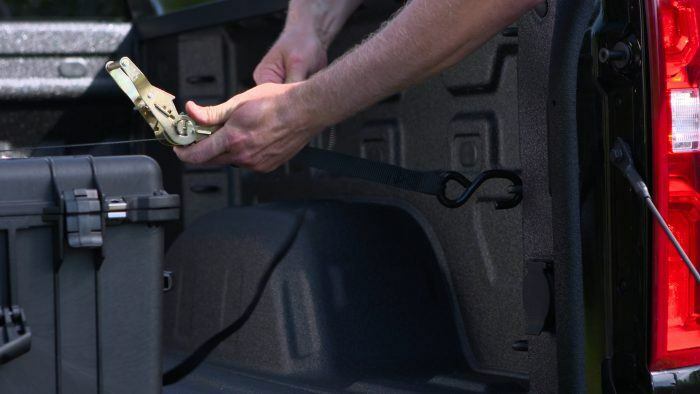 According to the automaker, the 2019 Chevy Silverado has best-in-class cargo volume, box depth, and box length at floor. 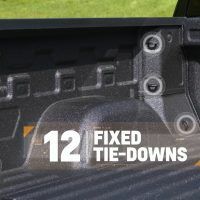 Chevy also says the Silverado’s 12 fixed tie-downs and power up/down tailgate make it the most functional bed of any pickup. Although different than the average suburban four poster at the furniture mart, Chevy’s Durabed does share some of that space-age magic often touted by mattresses of the late-night shopping network variety. For example, Durabed uses higher grades of steel, and the overall quality of the bed floor materials has improved from 340 megapascals to 500 megapascals. Chevy points out the strength difference here, noting that Ram’s bed is still 340 megapascals while the F-150 is made from aluminum. Earlier this year, one of Silverado’s lead engineers explained Chevy’s “mixed material strategy” at length with us. The 12 aforementioned fixed tie-downs have doubled in strength: from 250 lbs. to 500 lbs. of force before bending. 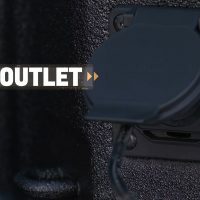 An additional nine moveable tie-down points are available, along with in-bed LED lighting and a 110/120-volt power outlet. 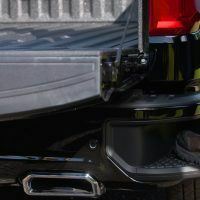 In order to access the bed, the 2019 Chevy Silverado comes with one of four tailgates: a standard, manual gate, a lockable “Lift Assist” gate, an automatic release/power lockable gate, and the power up/down tailgate. The latter, available on the LTZ and standard on High Country, raises or lowers using the key fob, gate touchpad, or button in the cabin. 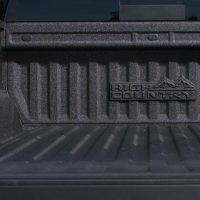 Every Silverado bed size has increased significantly in volume for the 2019. 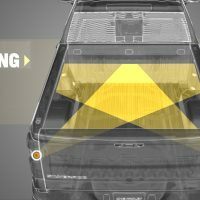 The short-box’s volume is up to 20 percent more than any competitor’s short-box, according to Chevy. Most of that increase was achieved by widening the maximum width of the bed floor nearly ten percent (seven inches), which is implemented across all three bed sizes. Below are charts provided to us by Chevy that show their dimensions versus the competition. The 2019 Chevy Silverado goes on sale this fall. 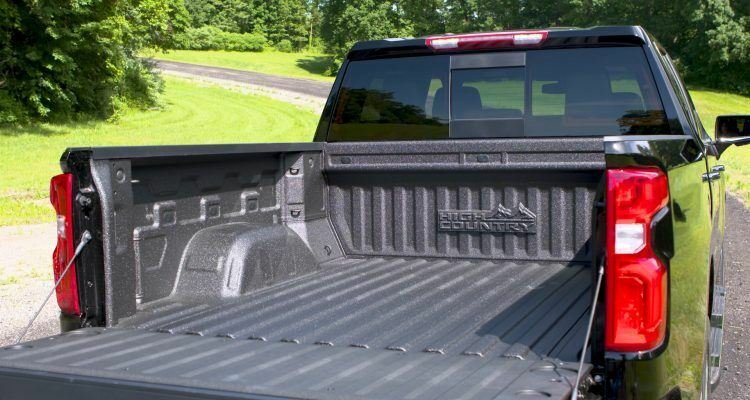 No Comments on "2019 Chevy Silverado 1500: I Like Big Beds & I Cannot Lie"